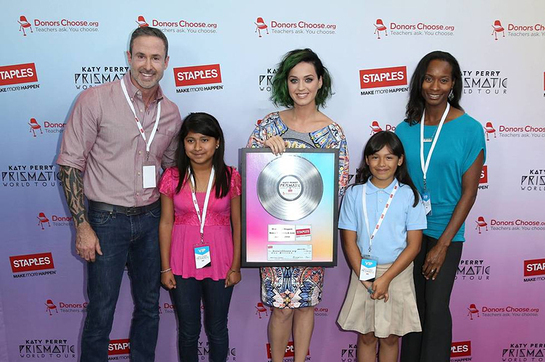 Staples, Inc. is teaming up with global pop music superstar Katy Perry to “Make Roar Happen” and celebrate and support teachers during the back-to-school season. Staples is building on its long history of supporting teachers, students, and education by donating $1 million to DonorsChoose.org, a charity that has helped fund more than 450,000 classroom projects for teachers and impacted more than 11 million students. To encourage teachers, parents and students around the country to ‘Make Roar Happen’ Staples will become the presenting sponsor of the North American leg of Katy Perry’s Prismatic World Tour, which resumes on June 22 in Raleigh, N.C.
A recent Staples survey revealed that 75% of parents of teen students believe a lack of school supplies is a significant challenge for schools today. Most teachers spend an average of $408.71 of their own money each year to provide supplies and materials for their classrooms. Staples’ customers are invited to ‘Make Roar Happen’ and help their local teachers by donating $1 to DonorsChoose.org at their local Staples store or online at www.staples.com/makeroarhappen. Donations will be used to fund classroom projects in the community where the donation was made. Beginning on June 25, fans will have a chance to win a trip to Los Angeles to meet Katy Perry and attend her concert on Sept. 19 at the Staples Center by entering the ‘Make Roar Happen’ Video Sweepstakes. Everyone is invited to create videos ‘Roaring’ about their educational goals, inspirational teachers, or how education has positively affected their lives. To enter, upload your ‘Roar’ video at Staples.com/MakeRoarHappen. Entries must be submitted before 11:59 PM ET on Sept. 3, and participants must be 18 years or older. Participants are encouraged to share their videos on their social channels using the hashtag #MakeRoarHappen. See official rules at Staples.com/MakeRoarHappen. Customers who spend $10 or more at any Staples store will receive a unique code(s) based on the total amount spent. 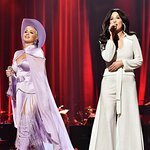 Code(s) will be provided on their store receipt to enter online at Staples.com/MakeRoarHappen for a chance to win two tickets to a concert in the U.S. portion of the Katy Perry Prismatic World Tour Presented by Staples. To win tickets, participants must enter the code on their purchase receipt from June 1 to Sept. 25 at Staples.com/MakeRoarHappen. See official rules at Staples.com/MakeRoarHappen.